Planning a destination wedding may seem like your worst nightmare but I’m here to tell you that it’s not that bad. You love to travel. You have your favourite cities that you may have visited numerous times. You’re on a high because the love of your life has just proposed to you, perhaps during one of your many travel adventures (as David did while we were in Leiden, Holland). Now you need to decide where to get married. Why not combine your passion for travelling the world and in particular, one of your favourite places in the world, with your family and friends? Let’s face it, planning a wedding full stop can make people break out in a nervous sweat. Fortunately, in this technological day and age, it really isn’t as stressful as it may seem at first. 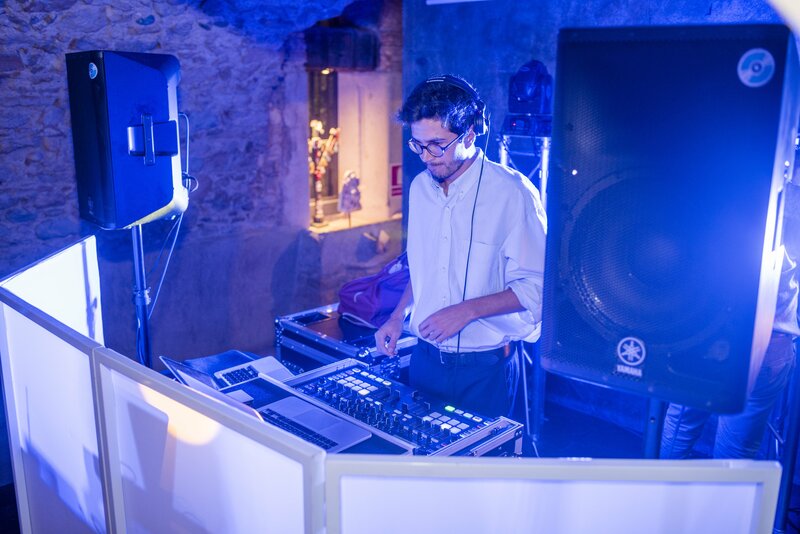 Besides, many venues have an events manager who walks you through the whole process. If not, you can always hire a wedding planner. Also, with the internet opening up the world to globalisation, it is much easier to not only get ideas from across the world but to obtain anything that takes your fancy on Pinterest or countless wedding blogs. A destination wedding is becoming just as easy to plan as a local wedding. Most people think ‘expensive’ when considering a destination wedding. However, it really does depend on where and when you choose to get married and the number of guests you are planning to invite. The cost of living in some countries may be cheaper than where you currently live. This means it may be possible to get more for your money elsewhere. Considering David and I are from opposite sides of the globe and don’t live in either of our home countries. We thought long and hard about where to get married. In the end, we decided on Spain. We knew we would choose a venue in the region from where David is from. It was also easier because, of course, David speaks the local language. For us, as for many people, the venue was going to be the centrepiece of the wedding. 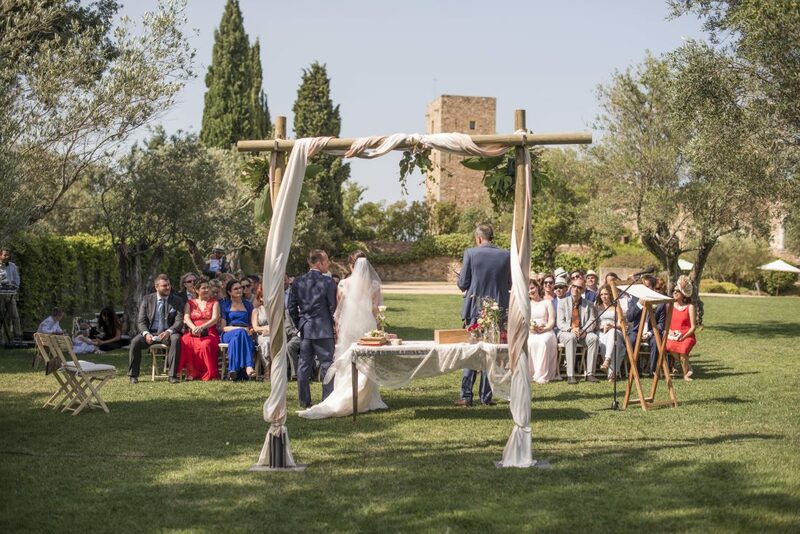 People were coming from all over the world so it needed to be easy to access, have the facilities to hold all aspects of the wedding in one place and also have the option of accommodation. Oh, and we wanted to give our guests an experience that would make it worth their while to travel to our little celebration. 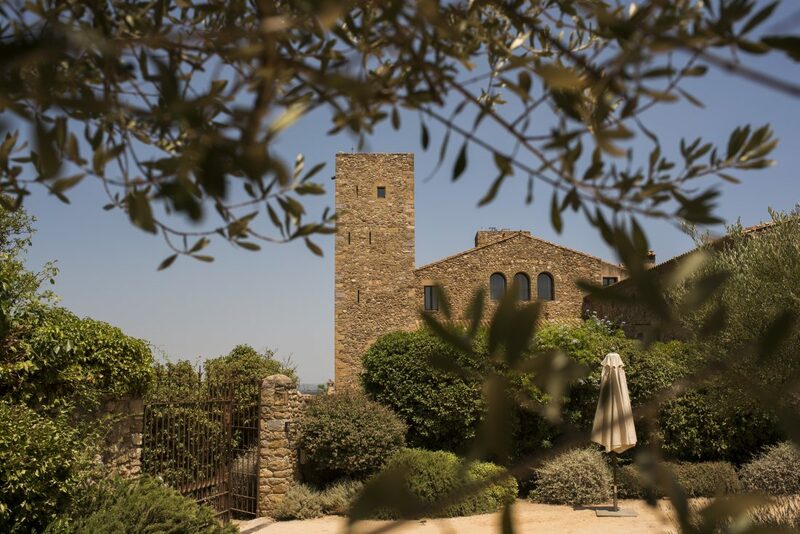 We got married at Hotel Castell d’Empordà, a castle set amidst the tranquil countryside of Costa Brava. 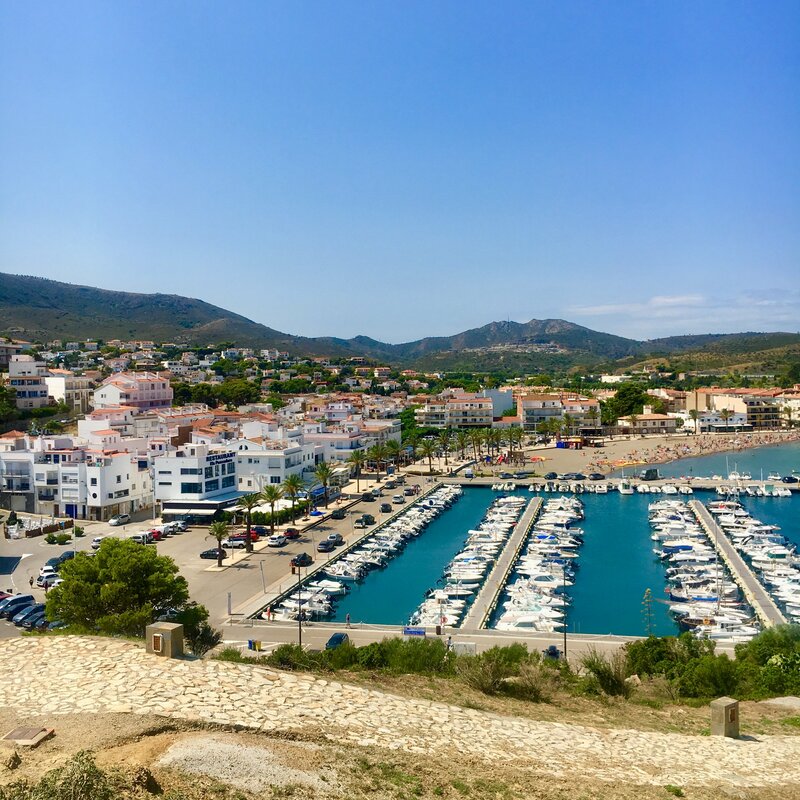 I first came across the venue when I searched wedding venues in Costa Brava. Initially, we were not sure if it would be within our budget. However, it was meant to be. The more research I did, the more wedding blogs I read, it kept making an appearance. Luckily, weddings are their thing. What made it even more reassuring when making our decision is that the majority of their weddings are destination weddings. This meant they were used to dealing with couples who didn’t just live down the road. They also spoke English very well which also meant that both David and I could easily communicate with the necessary people. What made our planning even easier was the fact that they included an events manager. Not only did her and her team organise the running of the whole day, in consultation with us, but they also helped in the planning stages from the moment we signed the contract. We had found a couple of other locations where you literally only rented the venue. This meant we would have had to hire everything from caterers to tables and chairs to linens and everything in between. It also would have meant that our friends and family would have had to be responsible for all the setting up instead of being able to enjoy the destination and wedding day. 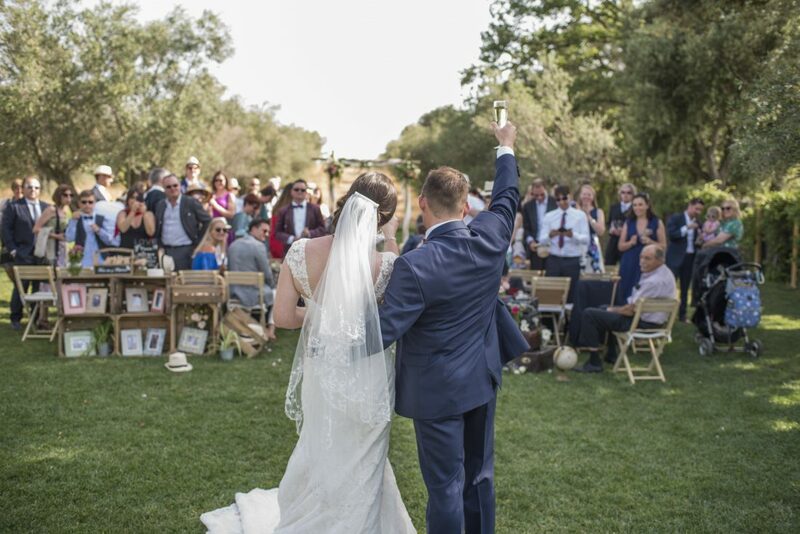 David and I certainly didn’t want to have that extra stress on our big day so it was very important that our venue had an event manager and included everything. 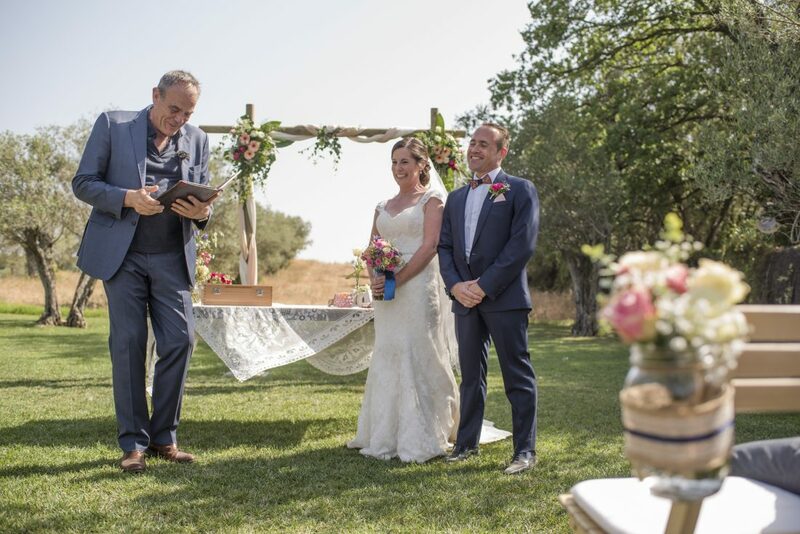 It was hard enough conferring with a handful of suppliers via email and Skype, let alone one for every minute detail necessary to make our day memorable. 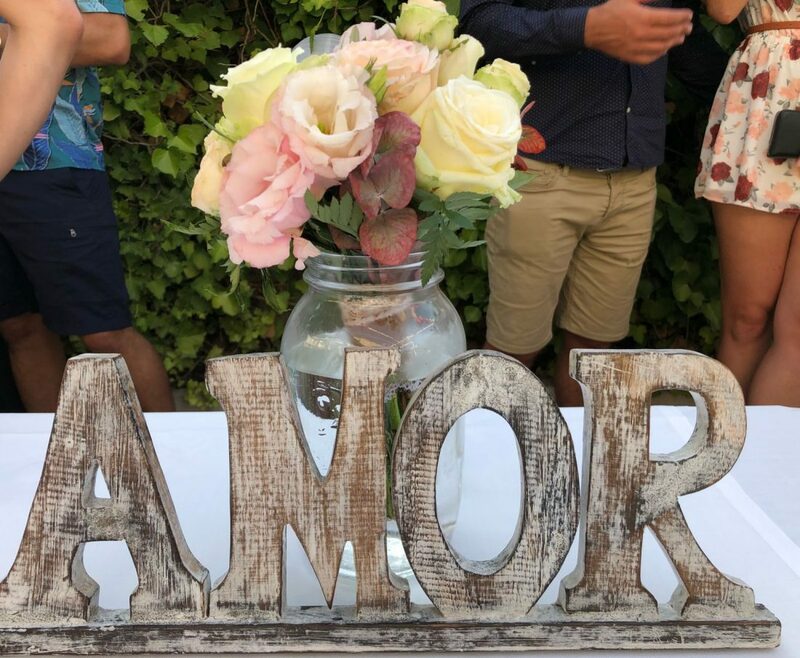 If you find a venue that you absolutely fall in love with and they don’t have an events manager then we would highly recommend hiring a wedding planner. Make sure they speak your mother tongue proficiently and that of the wedding destination, if it is different. The extra cost will definitely be worth the stress you will prevent in the planning stages as well as the main event. Also, they can be a saviour if you don’t speak the language of the destination, which makes it very difficult when looking for providers. 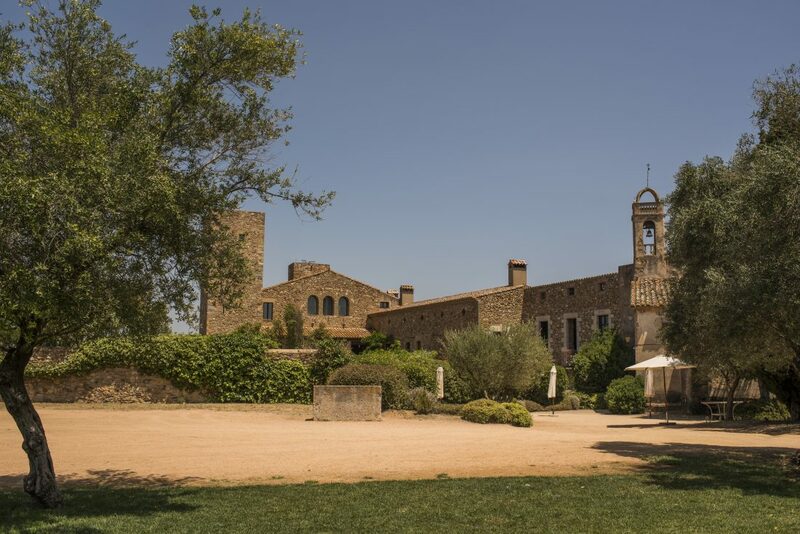 As mentioned above, we wanted our venue to include accommodation, which Hotel Castell D’Empordà included. However, the venue was not easily accessed by public transport. 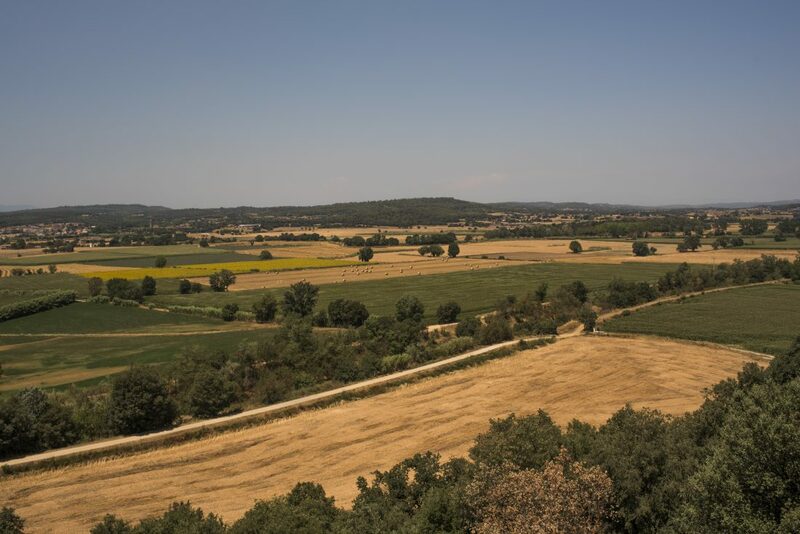 Since Llansa, David’s hometown, is on the main train line heading north from Barcelona to the French border, we had also organised an accommodation option in Llansa for those without a car. As lovely as the venue is, it is a four-star hotel and therefore not cheap to stay there. It is important that you cater for all guest’s budgets. After all, they are making the time and effort and paying the money to attend your special day. So be conscious of the cost of transport, accommodation and food when choosing your wedding destination. 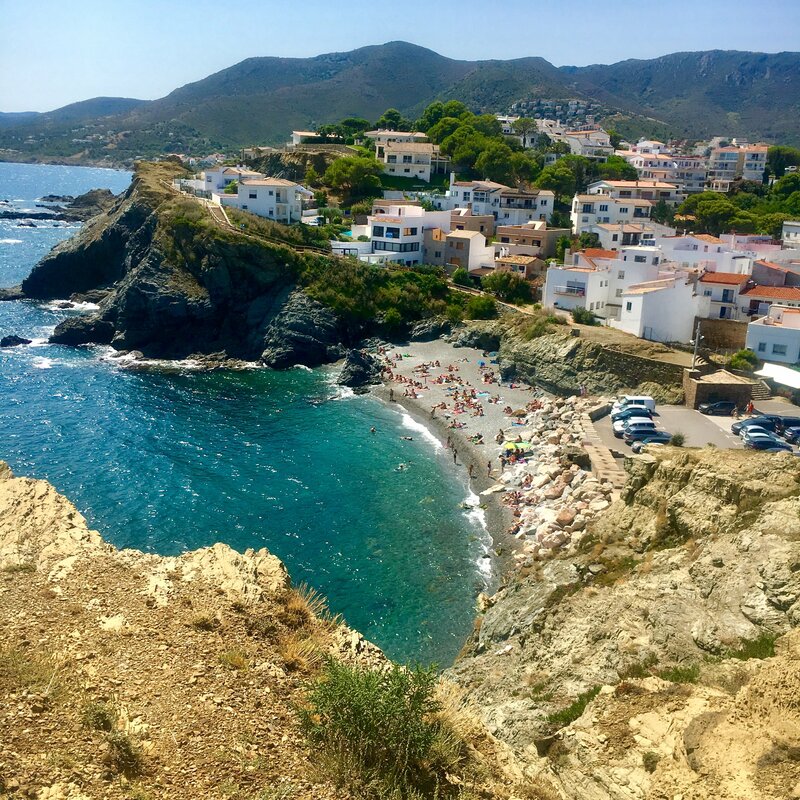 Luckily David’s family know the owners of Hotel Carbonell, it’s a really small town, and they were kind enough to accommodate our guests and even give a discount for a certain number of rooms. Many of our guests travelling from Europe made a little holiday out of it, whether it was a long weekend or a couple of weeks. Llansa is a cute little seaside town that comes alive in the summer. Our friends and family who stayed in Llansa were thoroughly delighted with the relaxed, beach vibe that Llansa provided. For those guests who chose to stay in Llansa, and for those who lived in Llansa, we hired a bus to take them to the venue and back again at the end of the night. This was reasonably priced and provided an easy solution for those who didn’t have a car or didn’t want to drive. The bus company had many different options in terms of size of buses and therefore various prices. Overall, for us, it was money well spent. Keeping the guests happy and making them feel comfortable was one of our priorities. 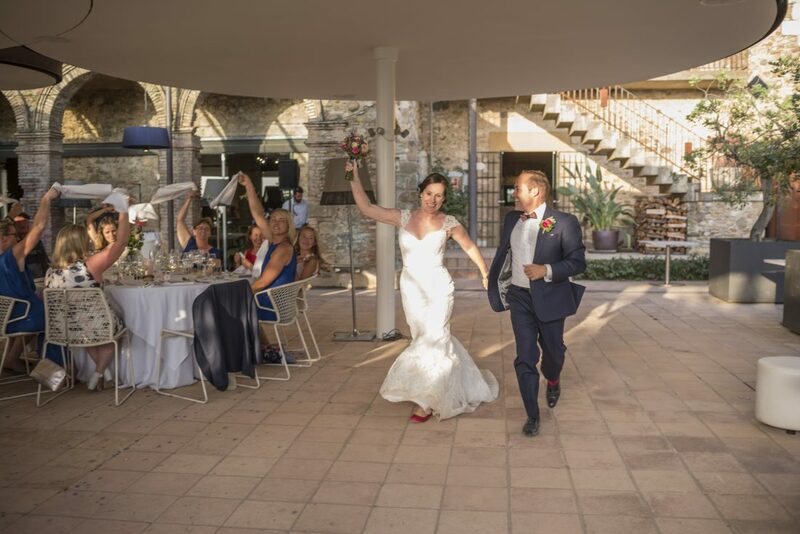 Since the majority of our guests had to travel to Spain for our wedding most people arrived at the latest on the Saturday before the wedding on the Sunday. We had guests from all over the world where some of them didn’t know anyone else attending. If you have ever been to a special occasion where you don’t know anyone, you know this can sometimes be quite daunting, especially at a whole day event. We decided to organise a casual get together for anyone who was in town. Yes, this was an extra cost but it turned out to be totally worth it. So many of our friends and family commented on what a great idea it was for everyone to get to know each other. Plus they got to enjoy the best tapas in the town of Llansa! We organised a buffet style tapas to keep the cost under control. 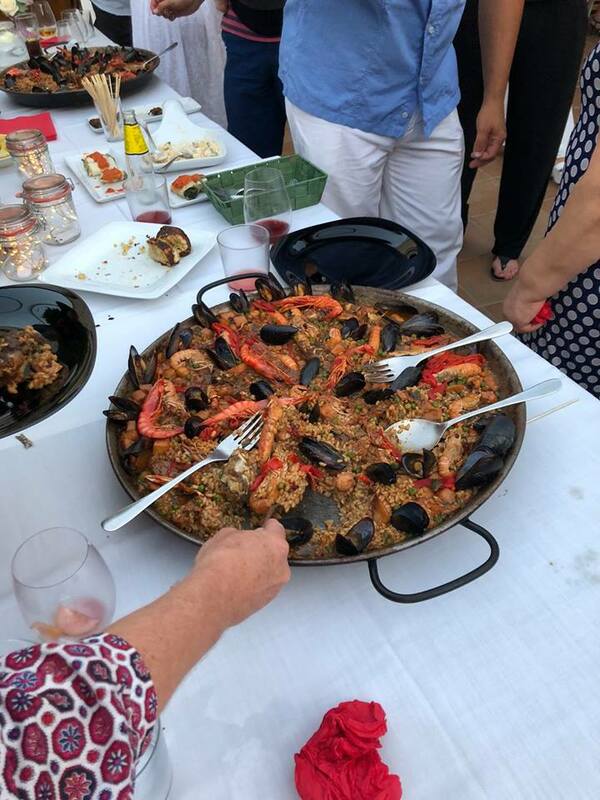 The price also included some sangria and non-alcoholic drinks for everyone and then guests bought their own drinks if they wanted something different. The night really set the tone for the whole wedding celebration. After a few sangrias, language was no barrier and somehow the English speakers and Spanish speakers were best buddies. It’s amazing how language barriers can be broken down with a little alcohol :-). The next day at the wedding it was great to see guests mingling like they were long lost friends. Finding reliable suppliers in a foreign destination can seem like a daunting task. If you have a wedding planner or event manager then they will no doubt have some preferred vendors that they regularly work with and know who are trustworthy. Our venue gave us a list of preferred suppliers. This was definitely a good place to start. We ended up hiring our crepes van, Spanish guitarist and master of ceremony from the hotel’s list. We contacted some of the other providers on the list but found that their prices were not comparable to others. This is also important to note, the venue may receive a commission for recommending others, hence their prices may not be the most reasonable around. I found our photographers and videographers, Basilico Studio, on a destination wedding blog online. Another great resource for finding venues and photographers in particular. You get to see how the venue looks when set up for a wedding and you are able to view the wedding photographers style. Basilico had shot weddings at the two final venues we were considering so we got to see what it looked like and gain a sense of the vibe of the weddings. They often list the suppliers used by a couple with their photo and video portfolios so you can get ideas for local suppliers and venues if you find a photographer first. 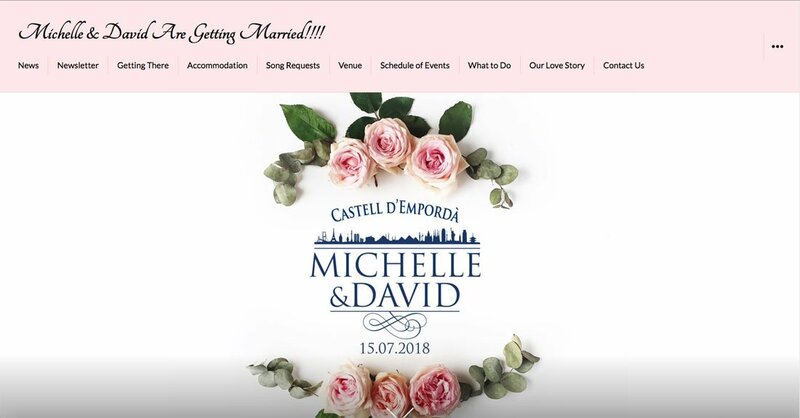 Part way through our planning process David came across a website dedicated to wedding vendors. 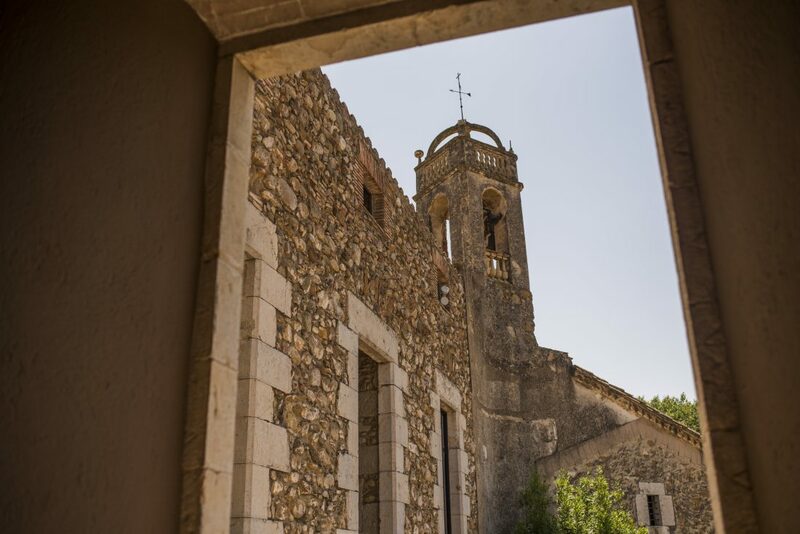 The website bodas.net includes all of Spain and is very easy to use. You narrow down the region in which you want to search and choose the type of vendor. They have everything from make-up artists to DJs to venues to dress shops and decorations. The site even includes wedding ideas and real weddings. We found our florist, DJ and make-up artist on this site. 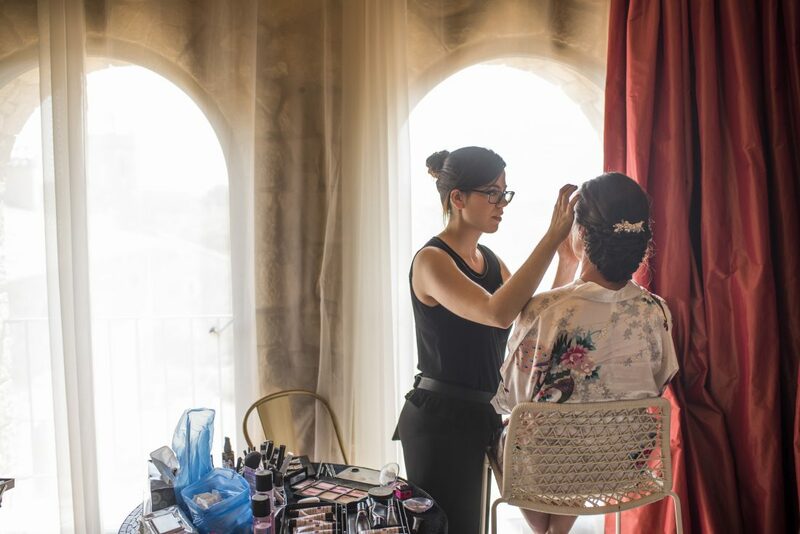 Maria, my make-up artist, in particular, went above and beyond her duty to help me feel amazing on the best day of my life. The drawback was that the website was only in Spanish. Fortunately, I married a Spaniard who could deal with that side of the organisation. In saying that, my make-up artist, the DJ and the photographers spoke English which was important for the actual day. Your reason for choosing a destination wedding may be because you and your partner love to travel or maybe it is cheaper than your home country or maybe you want to have a guarantee of reliable weather. Whatever your reason for choosing a destination wedding, I think it is nice if you can incorporate some of the culture or traditions from your host country. For us it was important to do this, especially as it is David’s culture. 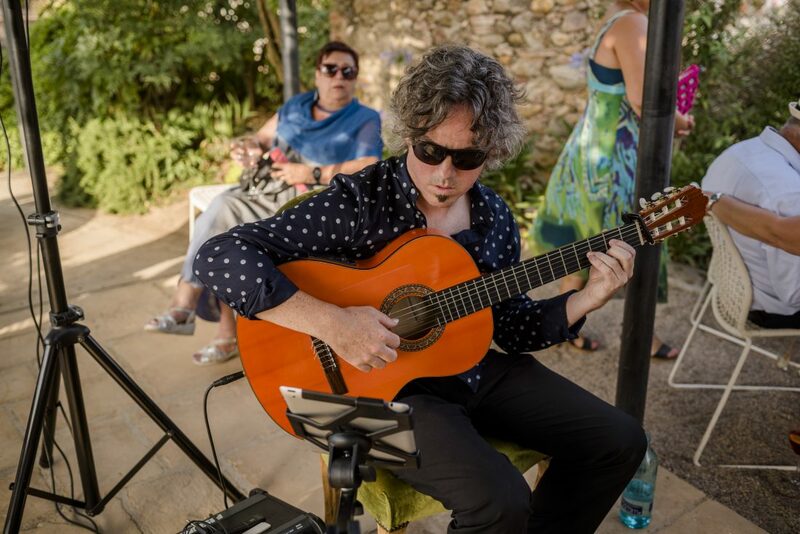 We included a Spanish guitarist playing during the cocktails as background music. 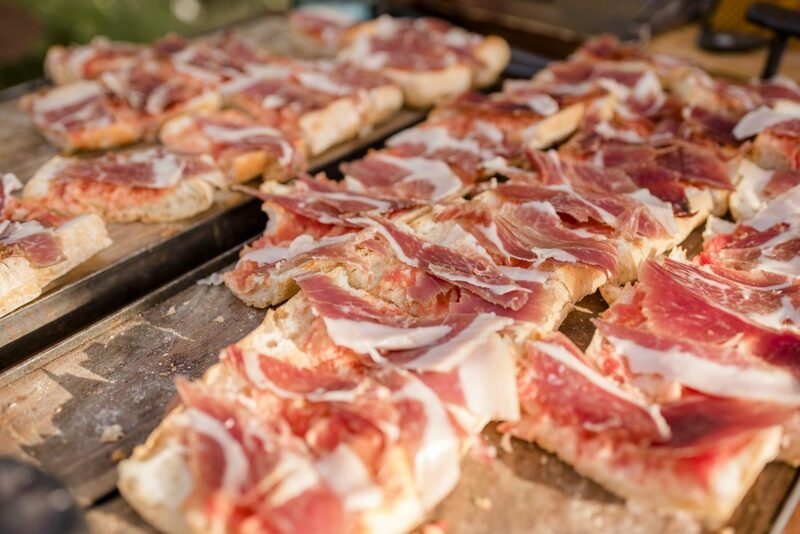 Classic Iberian ham was served which was carved by a professional maestro cortador de jamon (master ham cutter), this was a spectacle on its own for the non-Spanish guests. We also included some Spanish traditions like the mother of the groom walking the groom down the aisle. Isn’t that a nice idea? Other Spanish traditions included the best man (though it can be a male family member) delivering the bouquet to the bride and giving a small speech. Also, when we entered the dinner the guests waved their napkins in the air. No-one can actually tell me why the Spanish do this but it is cute. Spaniards also give gifts during the dinner and we decided to do our own variation of this by recognising those who helped us bring our day to fruition. 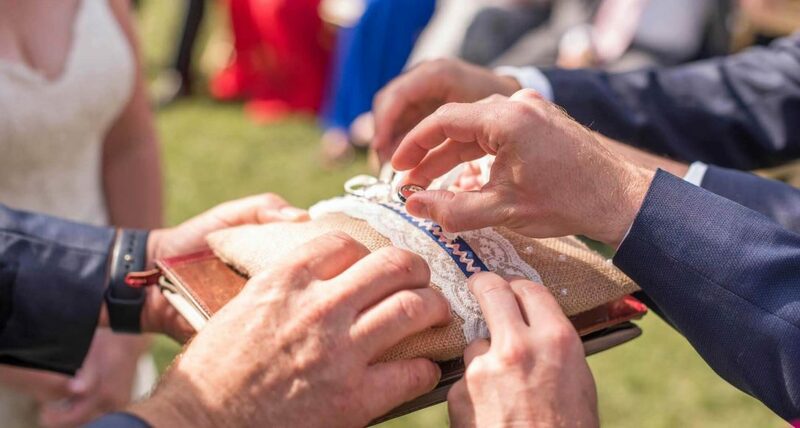 Perhaps you could research some wedding traditions for your destination wedding or ask your venue or providers for some suggestions. You don’t have to follow all of them, you don’t even have to follow them to the letter. One or two might be nice just to honour your host country. One thing that I think is vital for a destination wedding is a save the date card. This is particularly important if your wedding is during the summer months when people normally plan their holidays. For this reason, I would recommend sending out the save the dates a year in advance. This allows people time to save money and to plan their holiday and to take time off work. A save the date card doesn’t have to be fancy or expensive. 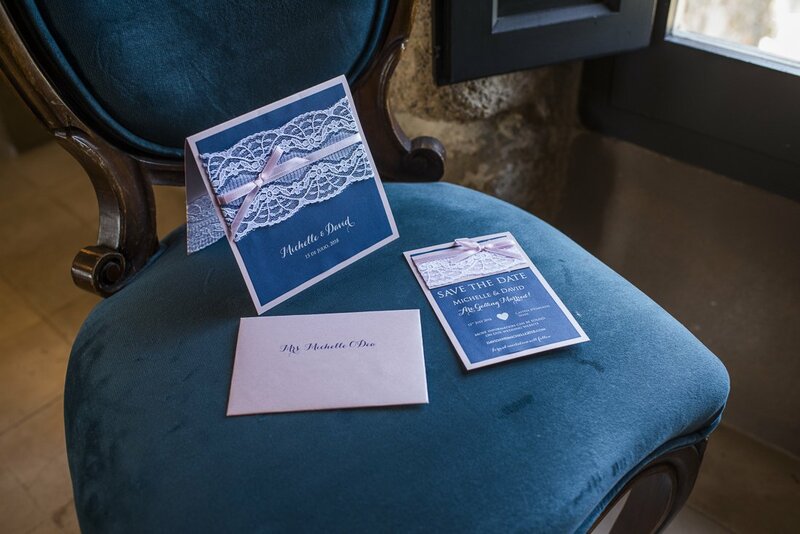 You could make your own or get them professionally made to match your invites, as we did. I like the idea of having a postcard style save the date card for a destination wedding. Read here for other ideas of incorporating travel ideas into your wedding. Another useful wedding resource is to have a wedding website. You can create a simple website on wordpress.com and it is not expensive to rent a domain name for a year. Even after the wedding, your website can still exist without you having to pay for the domain name. As it got closer to the big day we sent out important information in regular newsletters. We also included accommodation options, travel information, advice on what to do in the area and information about the venue and the schedule of events. We also created a wedding email address that was connected to the website which we used with all guests and providers. 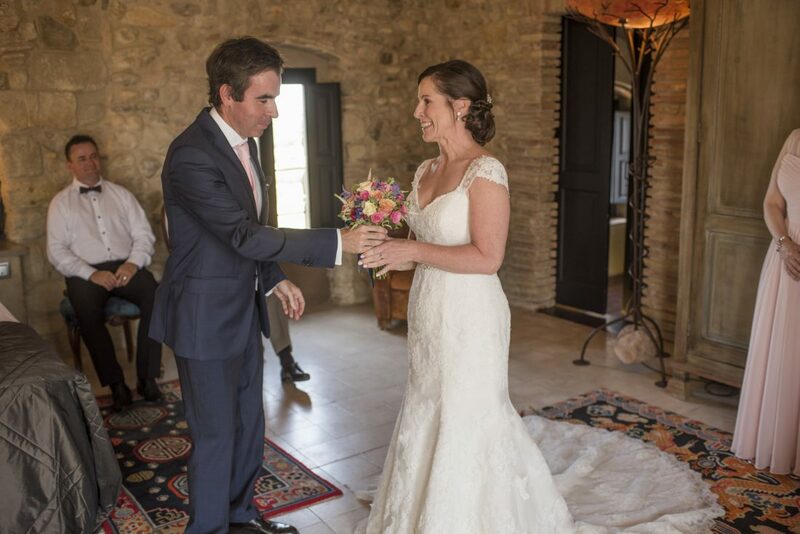 I loved our wedding, I loved that it was in Spain. To be honest I don’t think we encountered any more problems than if we had had the wedding locally. Also, our guests seemed to really appreciate attending a wedding in such a beautiful part of the world. So do you think a wedding destination is for you? Have you had a destination wedding? Tell us all about it. 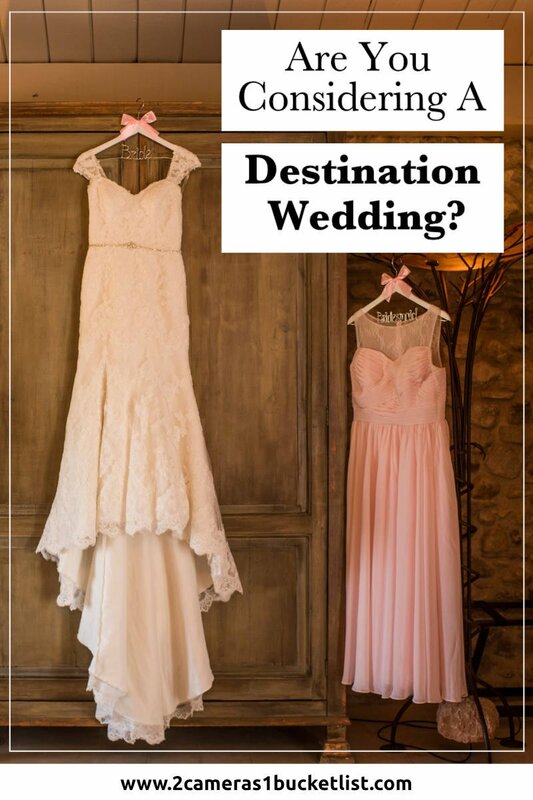 9 Comments on “Are You Considering A Destination Wedding?”. Join the Conversation Here! Just a perfect blog to read. Thanks for sharing your memories and such amazing information of destination wedding. And have a happy and successful married life. I am Pooria Saboor, and with the help of a number of young Iranian artists, we have created the first multi-language website to introduce cultural, natural, and historical attractions of Iran. According to most people who have traveled to Iran, this country is a gem with high safety in the Middle East, which with 23 registered attractions in UNESCO is considered to be one of the richest countries in the region and in the world. Also, the Iranian people are very hospitable and warmhearted, and look upon tourists as guests, and this has led to Iran being one of the safest places in the world for tourists. But the lack of proper content about Iran in major languages of the world, and also due to the power of world media to destroy Iran’s credibility, an proper image of Iran is not presented to the world. We are not backed by any government organization in the Iran, and in fact we are doing what the government should have done for the tourism industry, much like most countries. Please visit our website, and let us know what you think of what we have done in the past few months in order to better introduce Iran. If you are interested in progressing this aim, we would be glad if you posted one of our articles with the link to our website in your own website. You inspired to choose destination for marriage. Thank you Kiyara, we are glad we were of some service! Wow, looked like such a beautiful occasion! 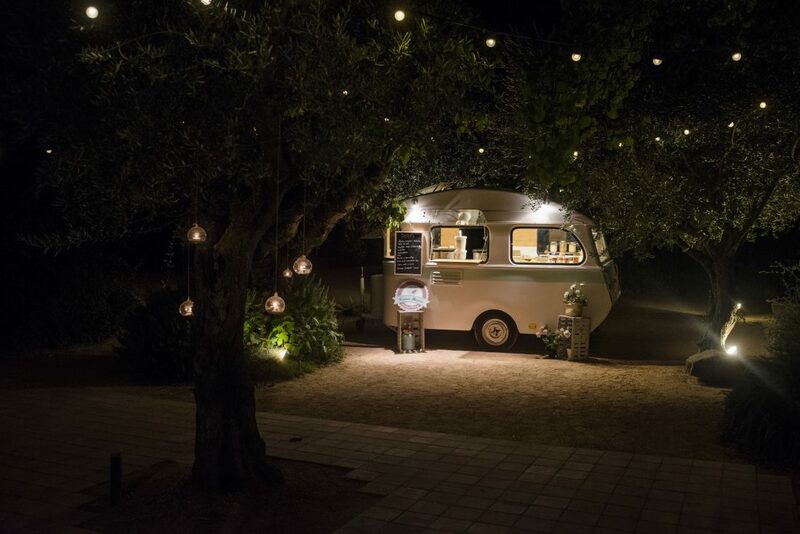 Loved your idea to have a food garage crepe van and a Spanish guitarist playing in the background – definitely going to be stealing those! Thanks Shelly it was certainly special for us and we received very positive comments from our guests. Go for it, steal as many ideas as you like, most of ours were stolen from Pinterest 😜. Glad you enjoyed the post.